These screwed Heritage Brass switches and sockets can be painted to match the decor of the room - they are designed so that the front plate can be painted before fitting. With a projection of approximately 3mm, these fixtures will blend into any contemporary design scheme. 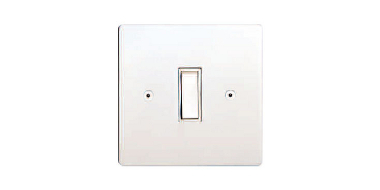 We also offer a screwless range of paintable switches and sockets.